- We really wanted to get the better of Karpaty. The U21 team have not won in Lviv for a long while, and we tried to interrupt the streak. I wish the guys who stay in the reserve team, to win here always now! As for the match, in the first half we were aiming at the opposing goal, created many good chances, but scored only one goal. Early in the second half, we made a short pause to regain strength, which the Lviv side took advantage of: they launched several attacks and equalized. This goal woke us up. We quickly netted the second goal and didn’t relax until the end of the encounter. In the dying stages, the opponents began to play it tough, with numerous unpleasant episodes, but we survived. Karpaty once again proved to be a fighting, aggressive team, which is always difficult to deal with, but the more valuable the victory here. It's good that we finished the league season with this result. In general, the season was great: we’ve got a friendly team, we were as one. Of course, it's disappointing that we haven’t won the league title, although we were deserving it. I want to thank Valeriy Kryventsov and the entire coaching staff for the season. All of them are real professionals, working with them is pure pleasure. We learned a lot of new things, we tried a lot in terms of tactics and game situations. All of us will benefit greatly from this experience. - We had to finish the championship on a positive note, and the opponents were the ever-tough ones, which motivated us even more. 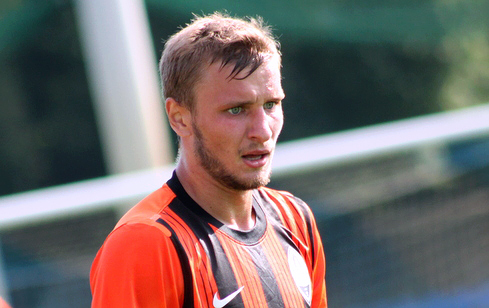 In addition, for many guys, including me, this was the last appearance for Shakhtar U21 team and we wanted to win it. We have been unsuccessfully performing in Lviv for many years, so today we’ve taken the pitch with a great desire. In the first half, we fully owned the initiative, opened the scoring, dould have scored three or four goals, but our finishing failed us. After the break, we competed more evenly, we got tired a bit, losing the ball in midfield. However, after conceding a goal, we started and immediately scored another one. At the end, the heat and passions went off scale, with us starting to get emotional ... But it's good that we didn’t give in and brought it to victory. I want to thank the teammates and mentors for the season: it turned out to be busy, outstanding and interesting.